Applying a "neutral" rating on Apple's stock, Credit Suisse believes the iPhone arm of the company is becoming mature. After seeing sales dropping 3.2 percent in 2018, analysts for the firm anticipate a further decline for 2019, bringing down sales by another 12.4 percent. 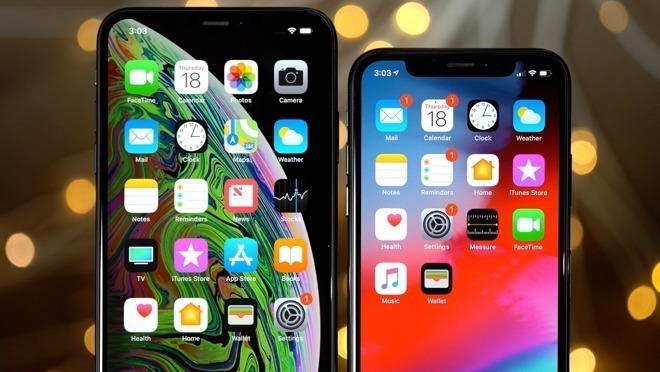 The iPhone is "in a difficult spot" with units more than 20 percent below its peak," the investor note seen by CNBC advises. "Users are holding on to their devices longer than ever, and price hikes have likely run their course." According to the firm, iPhone life cycles are now at around four years, double the typical two-year upgrade cycle expected for most smartphones. The four-year figure has been suggested by other analysts, including Bernstein in a February investor note. At that time, it was estimated just 16 percent of the iPhone install base will be replaced in some form, versus approximately one third in 2015. Apple's problems in China, cited as one of the main reasons revenue fell below predictions for its first financial results of 2019, are not improving in a great fashion and with "no quick fix" on the horizon. Despite cutting iPhone prices by up to 6 percent in the market, revenue is said to be down 27 percent year-on-year in the first quarter. "Beyond macro conditions, we see deeper structural challenges in China and do not expect a meaningful turnaround without a major iPhone refresh," which Credit Suisse suggests could occur with the launch of 5G-supporting models in 2020. The move to increase the focus on its Services arm could eventually help offset the decline, but Credit Suisse advises it won't happen quickly, commenting "We recognize the potential in the shift to services, but believe it will take time for that view to play out." According to the firm, the Services arm could grow from $40 billion in 2018 to around $65 billion by 2021.